Explore Cebu, Boracay, Davao, Palawan & Manila with Klook Discounts & Coupons This promo is only valid for Philippines activities. Valid for bookings made via Klook’s website and mobile app This promo is valid for one-time use per customer. ✅ Interested to book on KLOOK? Click here to save! Cherry Blossom season sale! 🌸🌸🌸 for Hong Kong, Japan, Korea, Taiwan Activities! Cherry Blossom season sale! for Hong Kong, Japan, Korea, Taiwan Activities! 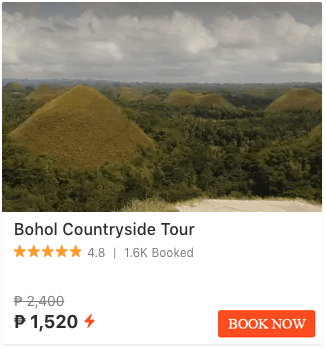 ₱1,000 OFF Any Activities on Klook with BDO Visa Cards Minimum spend of P10,000. Qualified Cards: BDO Visa Cards Only Promo code must be applied at the payment page to enjoy the discount. Interested to book? ❤ Get this Klook discount now! Enjoy exclusive privileges with your Mastercard Payment must be made with an Applicable Mastercard Card Cardholders must input the promotional code before payment Select your activity and booking date now! ✅ Interested to book? Get this Klook discount now! 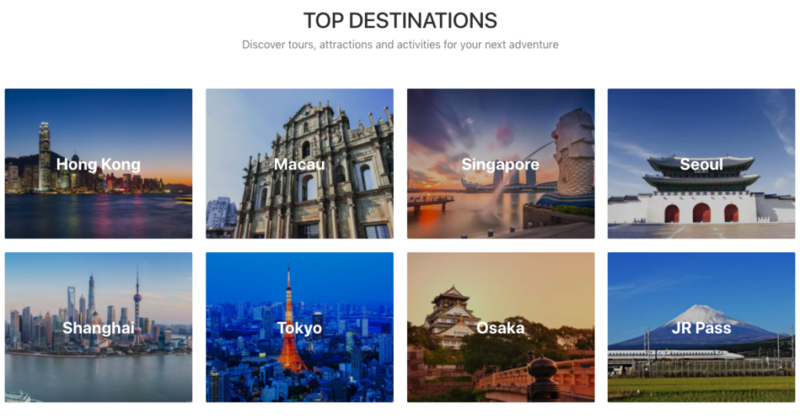 Klook is making your travel wishes come true Klook Japan, Korea, Singapore and Hong Kong tours. Best Price Guaranteed – Discounts up to 65% OFF Discover and book in-destination at the best prices. Seamless and secure booking experience with Klook. Interested to book? ❤ Get this Klook discount now! Explore Hong Kong & Macau Attractions with Klook This promo is valid for anyHong Kong & Macau activity. This promo is valid for one-time use per customer. ✅ Interested to book on KLOOK? Click here to save! Explore South Korea, Jeju, Busan, Gangwon-do Attractions with Klook Promo code is valid for any Korea destinations. This promo is valid for one-time use per customer. ✅ Interested to book on KLOOK? Click here to save! 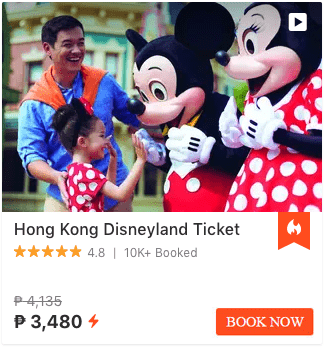 KLOOK tours, attractions and activities for your next adventure Top destinations in Philippines, Hong Kong, Singapore, Bangkok, Seoul, Tokyo & more Best Price Guaranteed – Discounts up to ₱2999 Discover and book in-destination at the best prices. Available with VISA and Mastercard Interested to book? ❤ Get this Klook discount now! 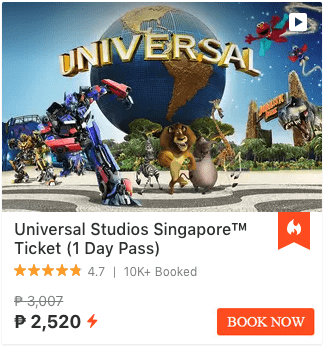 Explore Singapore Attractions with Klook Promo code is valid for any Singapore activity. This promo is valid for one-time use per customer. ✅ Interested to book on KLOOK? Click here to save! One day admission to all your favorite movie-themes rides! Re-create dramatic scenes from your favorite blockbusters. Tip: Grab food at Universal Citywalk Osaka before entering the park This adventure park will ensure to indulge thrill-seekers and movie-buff’s every fantasy! ✅ Get huge discounts! Get this Klook deal now! Experience one of the famous attraction and destination in the country! 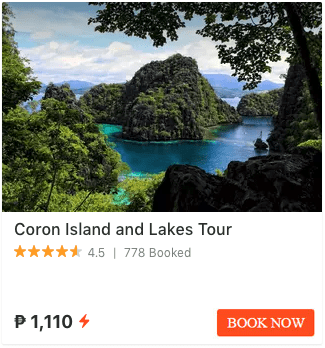 You can explore Puerto Princesa, El Nido, Honda Bay, Coron, and more! You can now go and travel at Palawan without spending much on your tour and trips. Book now and explore more as you spend cheaper! Discover more of country’s Queen of the South. Experience Cebu’s attractions, culture, foods, and lots of activities. 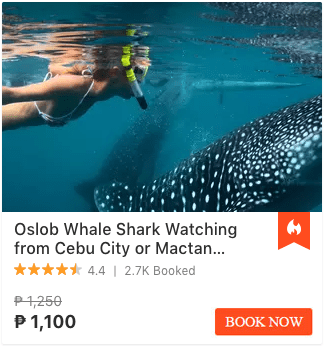 You can relax in paradise islands, swim underneath the sea with marine creatures, explore Cebu’s history like never before and more! Book now and grab this discount promo. Klook Philippines is a travel partner that will bring you to breathtaking adventures. With just few clicks, you can easily book your travels in affordable prices with less hassle. It is available for over 15 languages and serving in 10 different countries, so they make better transactions than any other booking sites. There is no need of putting doubts whether it is legitimate or not, for it is trusted even by biggest names in travel. Klook makes a once in a lifetime adventure, and well-researched destination from Japan, Korea, Macau, China, Singapore, Thailand and more. The next time you plan for vacation, make sure to book with Klook to have unforgettable experience! For better transaction, Klook app can be downloaded in your iOS or Android phones. You can plan your vacation anytime and anywhere with its amazing features. In the website’s search box, type your travel destinations, activity, and preferred tourists attraction to find variety of suggestions. There are some discounts in other offers that you need to grab while still available. The website’s features are easy to navigate. At the homepage, you’ll see top destinations, popular activities, travel inspirations and Klook recommendations that give you more ideas and inspirations for perfect getaway. Travels and getaways need proper planning and saving. You may have budgeted money for your travel but still feel that it’s not enough to cover all your bucket lists. Worry no more! TipidNation Philippines are happy to help with your vacation plans with the most affordable price possible. You don’t have to search through Google or other websites to find available coupons and discounts. With Klook’s promotion, you can avail your bookings up to 60% discount plus credit card promos from Mastercard & VISA. Other than that, we gathered Klook promo codes and vouchers for you to avail low priced booking for certain destination. Discover awe-inspiring adventures with Klook Philippines top booked destinations! From fantastic theme parks to famous tours, Hong Kong gives nothing but the best destinations. Are you looking for summer getaways? Taipei is the main attraction for beaches and water theme park. Do you want to discover theme park fantasies and world class attractions? Singapore would be the right place for you. Do you want to take a break from the bustle of cities and escape to Osaka’s real nature? TipidNation are much more willing to present vouchers and promo codes for you to enjoy these destinations in a super low cost. First, choose one of TipidNation’s Klook promo codes. Make sure your chosen promo code is applicable to your desired destination on Klook. For example, if you are planning to book in Korea, you should choose a promo code that offers special deals to Korea or Seoul booking. Next, manually copy the promo code. You can also highlight the code, and click Copy Code. Next, go to Klook to book for your destination. At checkout (at the bottom of the amount you need to pay), you will find an Apply Code button or just go to your settings to apply the promo code. Next, click Apply Code, and then enter paste the promo code. TipidNation wants you to experience cool adventures with exclusive prices. Traveling is more than experience. It’s a treasure that stays in your heart forever. So, grab chances while exclusive prices are still here. All the money that you’ll spend for your vacations are all worth it. 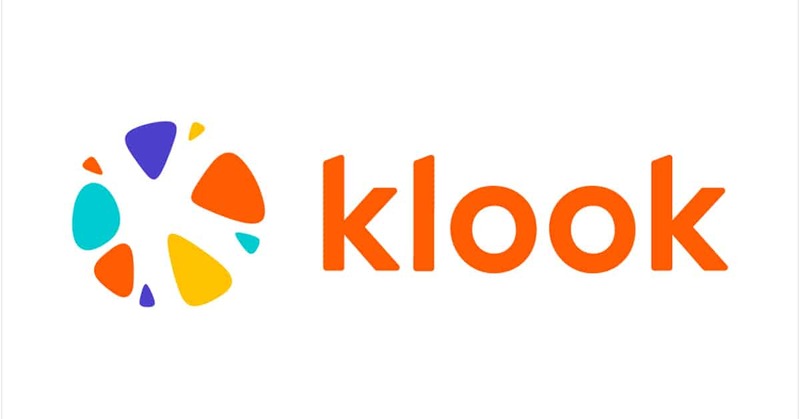 Book now with Klook Philippines and get your promo codes easily with TipidNation!